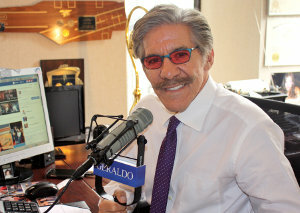 Investigative reporter Geraldo Rivera's exposé documentary of the Willowbrook State School. The exposé revealed gruesome conditions and neglected mentally disabled children. Rivera won a Peabody Award for this documentary and has done several exposing follow-ups, including a book; Willowbrook: A Report On How It Is And Why It Doesn't Have To Be That Way. Click this wikipedia link to see Wikipedia's page. The grounds of what was once the Willowbrook State School have now become part of The College Of Staten Island, with which Geraldo remains involved. Click Here to see his latest speech to a class of graduates.